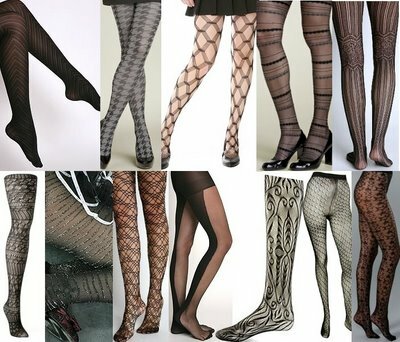 Tomorrow might be Tights Day. I do not like climbing back into tights for the first time in the fall! I hold out as long as I can with my sandals and then, when they do not cut it, ballet flats. I have this new pair of ballet flats and I have been running around in them. They are kind of weird because it feels as if you are running around in your bedroom slippers, nothing between your feet and the street. But you can wear them barefoot, which I love. The ballet flats do make you want to dance, I have to say that. They are so light on your feet! But I have some other new shoes too and I have to start wearing them. They have actual heels and to wear them you need to wear, zut alors, tights. You are up late, posting to your blog! And to a Buffalonian, anticipating winter is serious business. It was a great shock to me when I came to America to find you don't wear tights nearly as much as we Brits do. That wearing them in summer is something of a fashion faux pas. Perhaps it's not unconnected with our British summer weather. But you don't half have to have your legs in shape here!